The Sun Fast line has the wind it its sails! This weekend, Jeanneau is launching the all-new 100% Sun Fast regatta. The very first Sun Fast World Cup will take place at La Trinité-sur-Mer, in Brittany (France), from the 5th to the 7th of April 2019. This regatta is open to Sun Fast 3200s and Sun Fast 3600s with IRC rating and will welcome some forty international crews composed of 4 people each. Nearly 400 Sun Fast 3200s and Sun Fast 3600s sail on waters around the world today. 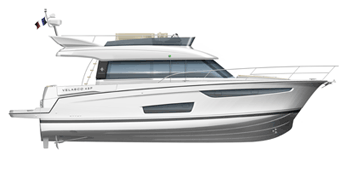 The Sun Fast 3600, at 11.25 m in length, reflects Jeanneau’s excellence in performance and technology. The Sun Fast 3200, at 10.1 m in length, is designed for all those who enjoy fast cruising and racing.